Lissa Muscatine of Politics and Prose Bookstore will interview Chelsea Clinton about her passion for books and reading. Booksellers attending Children’s Institute are invited to a viewing party for the first two episodes of Hilda, premiering this fall on Netflix, based on the popular graphic novel series from Flying Eye Books. Attendees can use the app to access the Children’s Institute schedule, create customized agendas, message fellow attendees, view keynote speakers and appearing authors, and more. In his talk, Riggio discussed his early days in bookselling, the growth of Barnes & Noble, and his take on the current state of the bookselling industry. Booksellers attending the Celebration of Bookselling and Author Awards Lunch at BookExpo had the chance to recognize authors and illustrators whose books reflect the indie spirit. BookExpo 2018 offered new and exciting events and networking opportunities for independent booksellers over the course of three days. The winners of the 11th annual Children’s and Teen Choice Book Awards were presented at the Silent Art Auction at BookExpo 2018 on Wednesday, May 30. 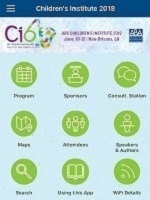 A record-breaking number of attendees will be heading to New Orleans next month for the ABC Children’s Institute. Registration for the event is now closed. Risbridger will dive into the most recent trends in children’s books, including genre, format, buyer behavior, and more, and attendees will emerge with new insights to help them maximize their business. The Book Industry Charitable Foundation will host a fundraising game at next month’s Children’s Institute, where booksellers can donate money to Binc by buying flashing pins for a chance to win $250. Topics include mixed merchandising, buying for margins, disaster preparedness, leveraging e-books and audiobooks, and more.